The South Baldwin Chamber's #SBAwesome program recognizes and celebrates employees who demonstrate outstanding customer service; those who go above and beyond, take pride in their work with a caring and positive attitude and make a difference not only at their place of business but ultimately in our community. Your participation is important! Any employee of a South Baldwin Chamber member is eligible for the #SBAwesome award, and anyone can nominate them. 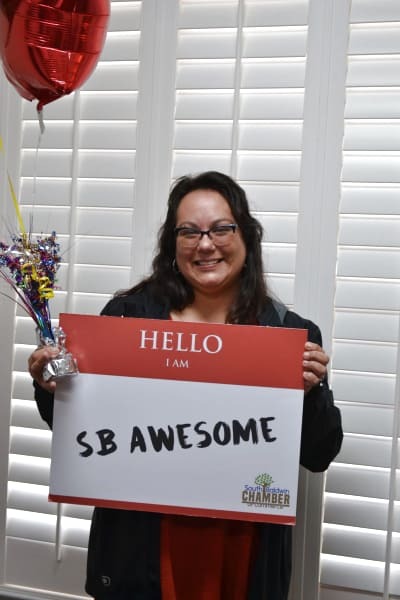 Simply make a post on Facebook or Twitter with the hashtag #SBAwesome, include their name, place of business/employer, and what makes them awesome. Each month we search the hashtag results choosing two awesome individuals from your nominations. Our Prize Patrol team, including diplomats and board members of the South Baldwin Chamber, make a surprise visit to the recipients while they are at work. 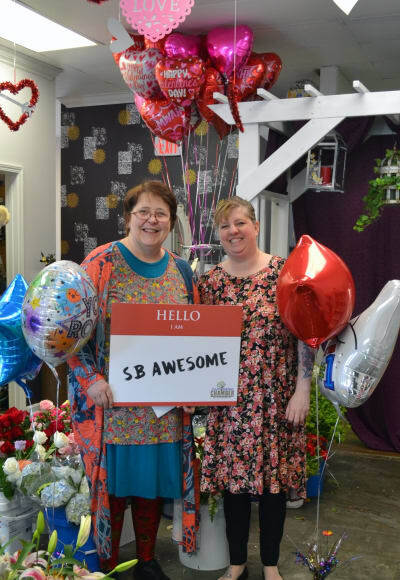 They are awarded a gift card (courtesy of WalMart-Foley), presented with balloons, an #SBAwesome lapel pin, and we post the photos on our social media and website. At the end of the year, a special luncheon is held in their honor. All recipients, along with their employer are invited to attend. So when you are out and about, dining or shopping local, playing at the golf course, enjoying the salon or spa, at your insurance office, bank, or credit union, visiting your doctor or dentist, taking your pet to the vet, buying a boat or real estate, renting equipment for projects, or ...well, you get the idea! 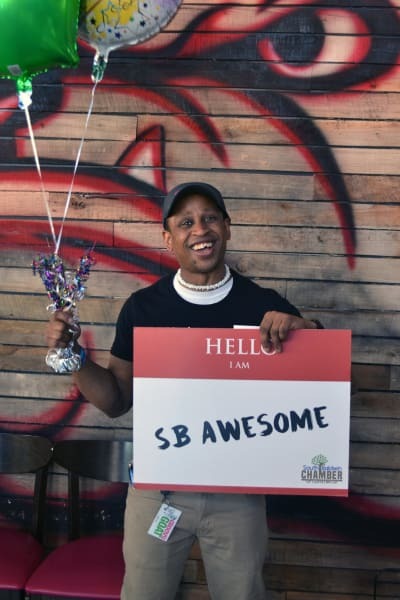 Let us know if you encounter any #SBAwesome employees!